The AFM has announced the hiring of Lead Organizer Alex Tindal Wiesendanger. He will work under Director Michael Manley in the Organizing & Education Division. Thousands of Los Angeles Unified School District teachers—more than 30,000—walked off the job in mid-January. It is the first strike since 1989 for the country’s second largest school district, which includes more than 900 schools. Nashville’s Bridgestone Arena will be the sight of Local 257 (Nashville, TN) member Loretta Lynn’s “all-star birthday celebration” on April 1. Among the confirmed performers for the Queen of Country’s 87th birthday will be AFM members Keith Urban, Alan Jackson, and Trisha Yearwood of Local 257, as well as George Strait of Local 433 (Austin, TX). Musical director is Local 257 member Dave Cobb. In January, Bachtrack released its annual classical music statistics, based on a database of 33,578 international performances in 2018. Approximately 800,000 government workers have been impacted by the shutdown. At this writing, most have already missed at least one paycheck. Many are seeking assistance from food banks, filing for unemployment benefits, and taking second jobs. Some fear losing their homes, going into debt, and being unable to support their families. About 50 members of the American Postal Workers Union and National Association of Letter Carriers (NALC) gathered in front of Canada’s Washington, DC, embassy to protest the Trudeau government’s decision to force the Canadian workers back to work. 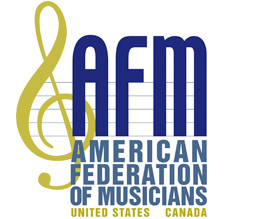 The 101st Convention of the American Federation of Musicians will be held in Las Vegas, Nevada, beginning Monday, June 17, and concluding Thursday, June 20.